With six seasons of mythology and mysteries, we’re bound to still have some lingering questions even after the M*A*S*H-sized finale has been aired and digested. 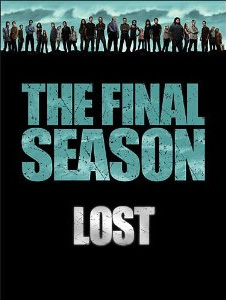 Lost executive producers Damon Lindelof and Carlton Cuse have promised a true ending to the TV show but that doesn’t mean that everyone will feel completely satisfied. If you’re one of those people who aren’t completely satisfied or want more of the story, there’s still a bit more to come. TV Guide Magazine reports that there will be an additional 20 minutes or so of the last episode included on the season six DVD set. The season six DVD set will also apparently sport “some pretty spectacular packaging” as well. The DVD and Blu-ray sets are scheduled for August 24th releases. The complete series will be released on that date as well. What do you think? Do you expect to be satisfied by the ending? Is the extra footage enough enticement to purchase the DVD set? were regarding Jacob and the Black smoke monster’s game etc. I feel they tried to finish this story and they didn’t really know how . I feel I just wasted 6 years of my life. I thought for sure we would enlightened about the island and all its mysteries. BIG DISSAPOINTMENT!